Not surprisingly, the film deals with a tumultuous relationship between another father and son, this time in the setting of the wild west. Kiefer is John Henry Clayton, a now-retired gunslinger who returns to his hometown to mend things with his estranged family. Donald plays Reverend Clayton, who fears that his son’s return will only bring more violence as the two must confront a criminal gang working for the local railroad company. The film also reunites Kiefer with longtime “24” director Jon Cassar. 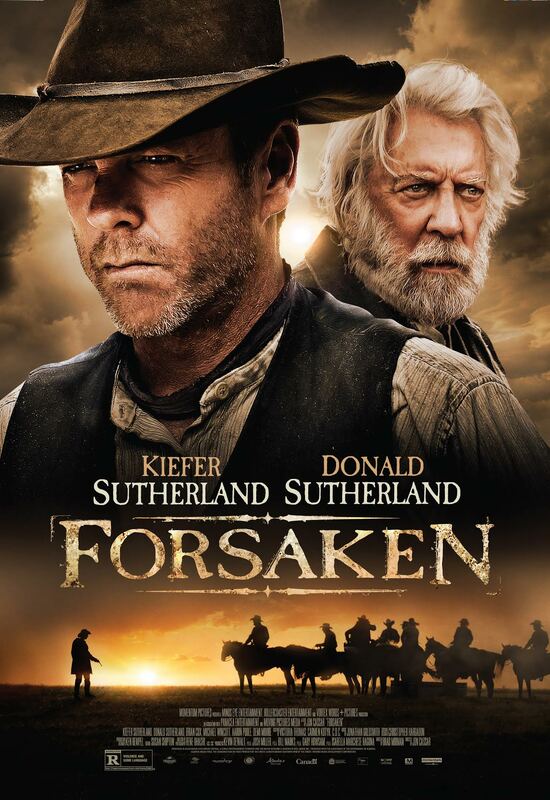 “Forsaken” premiered at the Toronto International Film Festival in September, and it will be out in theaters and VOD on February 19. Check out the exclusive poster below.